One of the current drawbacks in visiting the Boston Harbor Islands is that the $14 price of ferry tickets for adults is on the steep side. But there's some good news for anyone who's been hesitant to visit the islands because of the ferry prices. 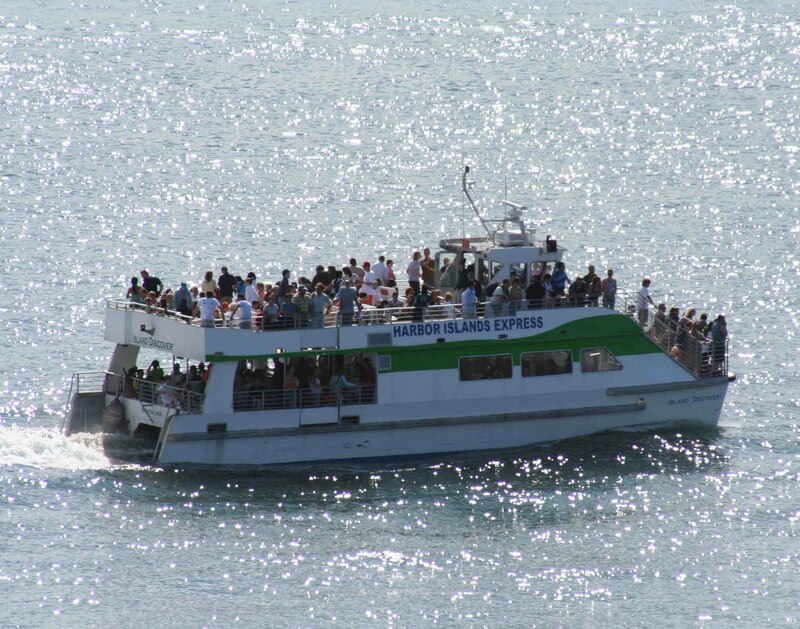 Travelzoo is selling half-price tickets for the Boston Harbor Islands ferries until 7 PM EDT on June 30. Tickets have been discounted to $7 for adults, $5 for seniors, and $4 for children. 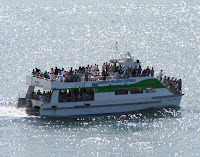 You will receive a voucher that can be redeemed for any ferry from Long Wharf through September 30. Click here to purchase tickets and get more information. To me, it was the nadir of Boston sports. Thousands of Boston sports fans flocked to City Hall Plaza to watch Bruins legend Ray Bourque lift high the Stanley Cup. Stymied in his quest for championship glory in Boston, Bourque finally got to drink from Lord Stanley’s chalice as a member of the Colorado Avalanche. Just days after the pinnacle of his career, Bourque brought the Cup to Boston to share with Bruins fans, who had just suffered through a second playoff-less season. It was a gracious act, but honestly it was absolutely embarrassing as a Boston sports fan to watch the reaction. City Hall Plaza had been the gathering spot for the city to celebrate its Bruins and Celtics championships in the ‘70s and ‘80s. Now we were latching on to another team’s glory. This felt like table scraps being fed to a fan base starving for a championship. It had been nearly 30 years since the last Bruins championship, 15 since the last Celtics title, 83 since the last Sox crown. The Patriots? Please. To me, the thousands who had turned out to see #77 bring the Stanley Cup to town seemed like an admission that this town would not see championship glory ever again. But, oh what a difference a decade makes. Nearly 10 years to the day after the most pathetic moment in Boston sports, the city has hit the Grand Slam. Seven titles by all four teams. Duck Boat parade after Duck Boat parade. The longest title drought in town now belong to the Patriots. Wow. Ten years ago when the Stanley Cup stopped by Boston for a cup of coffee, it was “Look, but don’t touch.” But today, you Bruins fans can not only look, not only touch, but embrace it with all of your might. Saturday you’ll get the party in downtown Boston that this fan base deserves. Today marked an exciting--and very important--landmark in the development of the Boston Harbor Islands national park area with the unveiling of a new welcome center on the Rose Kennedy Greenway. The grand opening was marked by a ceremony that included remarks by Mayor Menino and Vicki Kennedy. My first impression is that the Island Alliance, National Park Service, and all involved in the painstaking project did a tremendous job. The pavilion was much larger than I expected. It features self-serve kiosks where you can buy ferry tickets to the islands and large panels that profile the eight islands served by public ferries. The panels give brief rundowns on the islands' historical and recreational offerings on one side, and on the other they feature beautiful photography. Look down and you'll literally find yourself wandering the islands on a 2,000-square-foot topographical map of the park inlaid in granite. Rangers will be on hand during extended business hours to answer any questions. Lovers of the islands already know what they have to offer, but for most visitors to the city--and probably the majority of its residents as well--the islands have been "out of sight, out of mind." Since this pavilion is in a very high traffic area between Quincy Market and the Marriott Long Wharf, it's going to catch the eye of thousands of people every day. No doubt the visibility of the Boston Harbor Islands national park area is going to get a big boost. The pavilion is the first building to open on the Rose Kennedy Greenway. While you can't see any of the islands directly from the pavilion since it's a few hundred yards from the water, the Greenway is still a fitting location. The Greenway has reconnected downtown with its historic waterfront, and the pavilion will serve to further the connection between Boston and the harbor that gave birth to this city. Plus, the Big Dig project was responsible for the redevelopment of Spectacle Island, as fill from the harbor tunnel was used to resculpt the island into a vast recreational area. If you swing by the pavilion, be sure to check out the gift shop. They have some pretty cool Civil War memorabilia (Fort Warren on Georges Island is one of New England's most historic sites connected to the war), postcards, and books on the islands. Not surprisingly, I encourage you to pick up a copy of Discovering the Boston Harbor Islands at the pavilion. I've sung the praises of the Globe Corner Bookstore in Harvard Square on numerous occasions. It's a great travel bookstore and a local institution. Step inside and in just a few square feet you can travel the world. Sorry to hear the news then that the Globe Corner Bookstore is going to be closing its retail store, although it will live on online. The bookstore was put up for a sale a number of months ago and an acceptable buyer was not able to be found. The announcement came on the same day that Alex Beam of The Boston Globe wrote of the difficult times facing bookstores. Sickeningly prophetic.